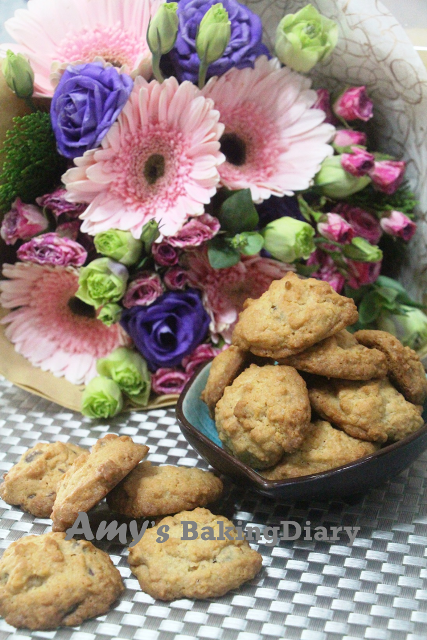 I like the pictures of this lovely bouquet of flowers with my cookies. I like flowers from daisy family and have a special love for Gerbara. Other than daisy flowers, pink and champagne Roses are my favorite too. This bouquet of lovely flowers was from my sister in law, Jessie. She is such a sweet girl that never fails to send flowers to me on special occasion or even some time without any occasion, just to make my day. Ok. Back to my cookie. I discovered this recipe in type written format, sandwich in between one of my cookbook. I really couldn’t remember how this recipe came about. But I googled and it happened to be quite similar to the recipe by Nestle Nestum. 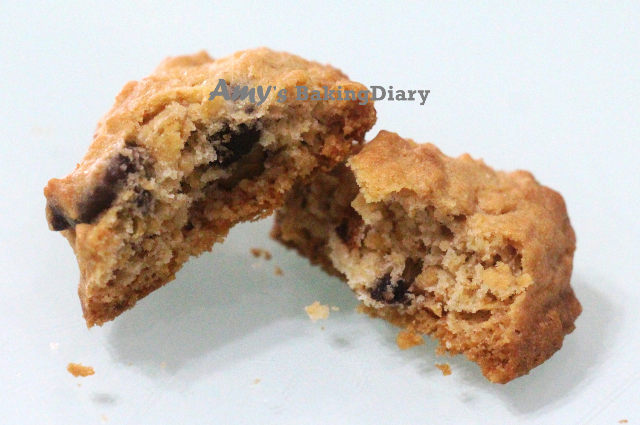 Apparently, I noticed many bloggers baked this cookie and it seems like this is one of the must bake cookie during CNY. Well, my family enjoys this cookie very much even it’s not CNY. These cookies were supposed to bake in a jumbo size. But I prefer it to be in bite size. 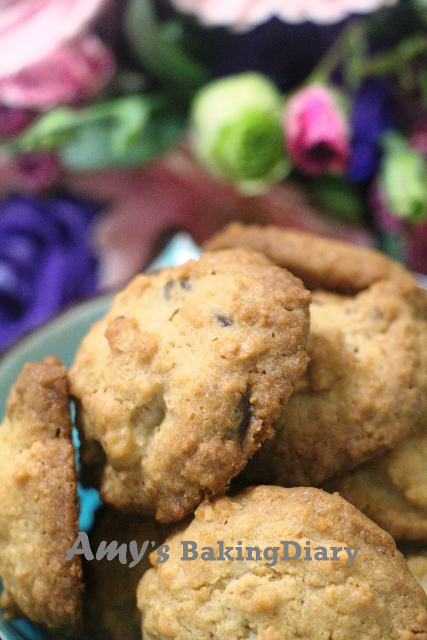 Anyway, the cookies turned out good. They are aromatic and crunchy. I felt sense of rewarding when I saw Titus started to pack the cookies to bring to school the next day. Seeing my kids loving those cookies, have made my baking and cooking for them even more accomplishing. (1)Sift flour and baking powder together. 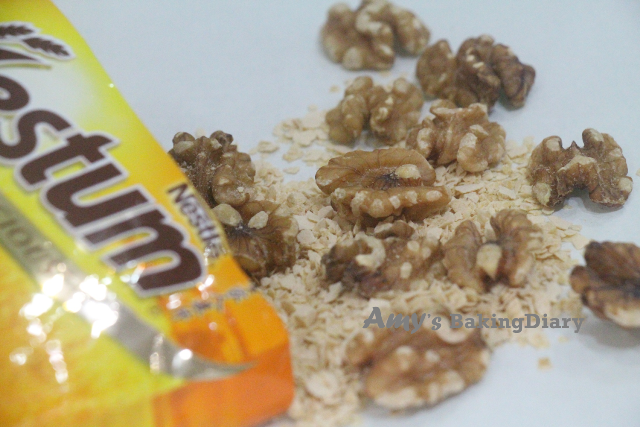 Stir in salt and Nestum All Family Cereal, then add in the walnuts and chocolate chips. (3)Add the eggs and vanilla, continue beating until well incorporated. (4)Fold in the flour mixture using the lowest speed to mix well. 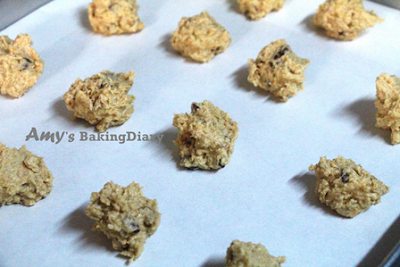 To form cookies, place about 1 teaspoon of mixture on a baking tray lined with parchment paper. 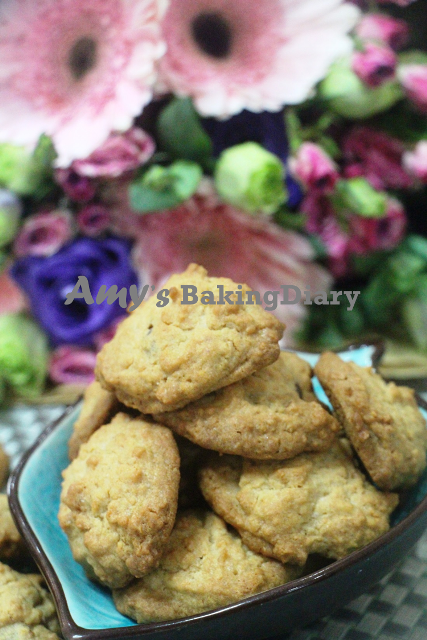 (5)Bake in a preheated oven 180 deg C for 15 mins [I baked for 20 mins] or until cookies are crispy and golden brown. 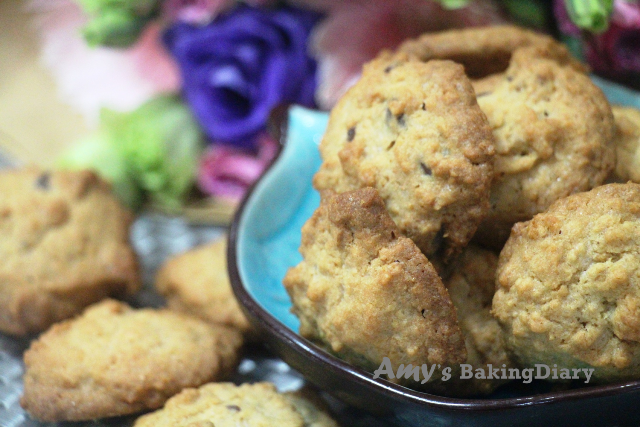 (6)Cool the cookies on a wire rack and store in airtight container. How sweet to see your boys enjoying these yummy home baked cookies ^-^! Your cookies looks wonderful! And seeing how your boys appreciate your baking, makes it all the more worthwhile! I like Gerbera too..these flowers are big and more colours..can make into a nice arrangement with just 3 stalks of Gerbera because of its size. I grew up with Nestrum, and only recently I introduced this to my gal and she too loves it. 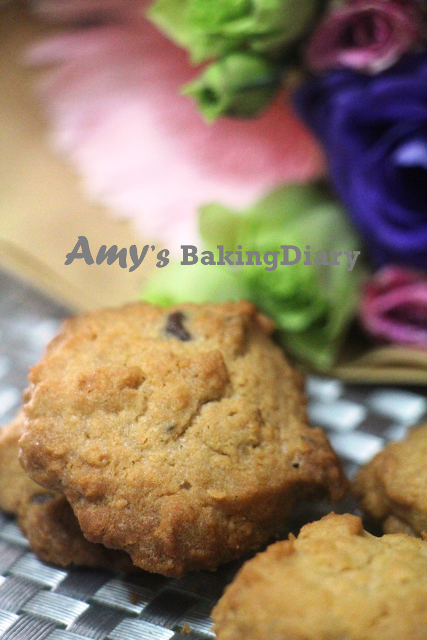 Now, seeing your cookies, I found another inspiration to give variety to my girl. Thanks.